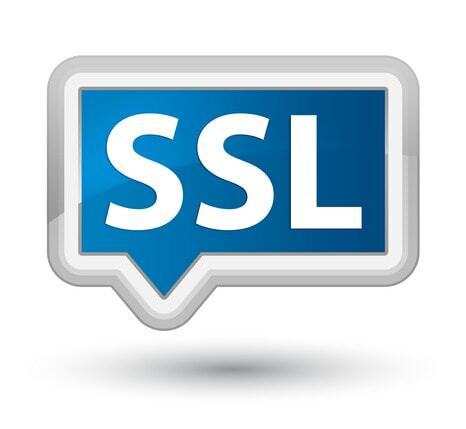 SSL Certificate (Secure Sockets Layer) creates a secure connection between a website and a visitor’s browser. When an SSL certificate is installed on any website, you can be sure that the confidential information you enter, is secured and only seen by the organization that owns the website. Why do you need SSL Certificate? If you sell products or services on your website which transmits sensitive information like credit card, private information etc. you need an SSL Certificate for the security while transferring data. What is multi-domain SSL Certificate? Multi-domain SSL Certificate allow you to use a single SSL certificate across multiple domain names in a shared environment and sharing IP addresses. For example, if you have 15 sites with different domains or host names, and only single IP address is to be used among them and you want them to protect using SSL Certificate, a multi domain SSL Certificate is ideal for you. Multi-domain SSL certificate allows you to secure first three domains without any cost. However for every additional domain (i.e. Fourth domain to Hundredth domain) you need to pay some additional nominal amount. Using Multi domain certificates you can secure up to 100 domain names like example.com, example.net, example.org, example2.com, test.net etc. using same certificate. Multi-domain certificates also known as UCC (Unified Communications Certificate). Save money. No need for separate IP addresses for each domain. Easy certificate management. You don’t need to manage multiple certificates. It works on Linux as well as Windows platform. Display a padlock on a browser. Why AccuWebHosting for Multi domain SSL Certificate? Based on the volume of online transactions of your website, we will help you to determine which SSL Certificate is best for your website. You can add or remove additional domains any time, we will re-issue your multi-domain certificate free of cost. However, additional domains will cost you $25/Year per Domain. Note: Unfortunately it is not possible to remove the primary domain from the multi-domain certificate. Hence you can not change primary domain name. Our SSL Certificate is Trusted by over 99% of the browsers. You do not need any paperwork while purchasing a SSL Certificate from us. We provide multi-domain SSL in just $75/year which includes one IP address and first three Domain names Free. Additional domains (i.e. Fourth domain to Hundredth domain) will be charged $25/Year. We do provide 24×7 Technical Support via Live Chat and Support Ticket. Click here to order Multi domain SSL Certificate from AccuWebHosting.